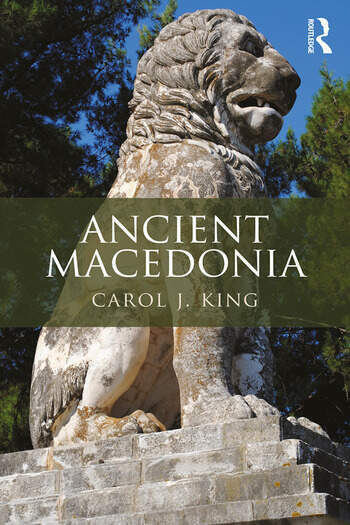 The first English-language monograph on ancient Macedonia in almost thirty years, Carol J. King's book provides a detailed narrative account of the rise and fall of Macedonian power in the Balkan Peninsula and the Aegean region during the five-hundred-year period of the Macedonian monarchy from the seventh to the second century BCE. King draws largely on ancient literary sources for her account, citing both contemporary and later classical authors. Material evidence from the fields of archaeology, epigraphy, and numismatics is also explored. Ancient Macedonia balances historical evidence with interpretations—those of the author as well as other historians—and encourages the reader to engage closely with the source material and the historical questions that material often raises. This volume will be of great interest to both under- and post-graduate students, and those looking to understand the fundamentals of the period. Carol J. King is Associate Professor of Classics at Grenfell Campus, Memorial University of Newfoundland, Canada. She has taught classics and ancient history courses at several universities in the US and Canada. Her primary research focuses on the historiography of Alexander the Great and the literary evidence for ancient Macedonia more broadly. In addition to political and military history, she has also published on divination practices in ancient Macedonia.